Over the last 15 years, the growth of the UK's coffee industry has been nothing short of remarkable. Typically, a nation of tea drinkers, the UK's 'coffee revolution' coincided with the economic boom period of the mid-to-late 1990s. 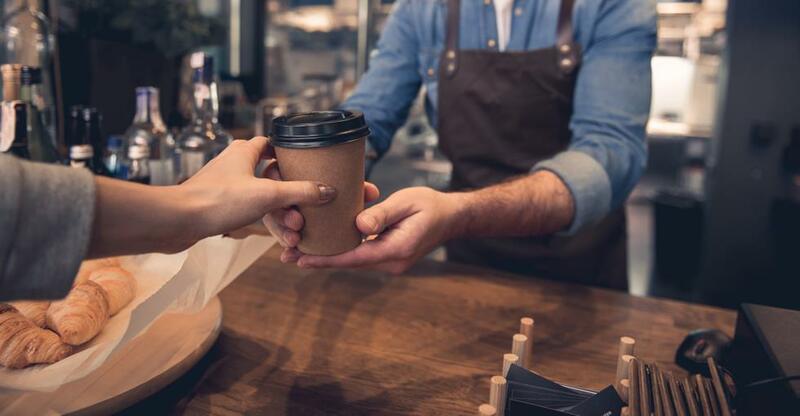 Coffee franchise chains such as Starbucks, Nero and Costa, are giant companies producing mass-market products, and they will continue to dominate the industry as it grows. This does not, however, mean the annihilation of the independent outlet. As palates become more sophisticated there is a growing appetite for artisan or speciality coffee outlets, catering to the coffee connoisseur. We spoke to some of these independent coffee shops to find out how they kept abreast of the coffee trends. Workshop Coffee roasts their beans in-house and provides home-brewing classes, which makes them different to most coffee shops. They pride themselves on attention to detail and their rigorous staff training (they even weigh the beans) – all with the aim to create the perfect cup of coffee. We spoke to founder James Dickson about running Workshop Coffee Co.
James told us that location, footfall and potential clientele are key considerations when you buy a coffee shop. Run by coffee (and tea) aficionados Darren Elliot and Ruth Coppin, Timberyard was born when the pair noticed a gap in the market for good coffee shops to have meetings in. With the aim to banish the stereotype of boring meetings and bad coffee, Timberyard provides its creative clientele with meeting places and workspaces where they can stay as long as they like and work productively. Darren told us that the shop is designed to “be as comfortable and homely as possible”, likening it to a “modern London apartment” with its “warehouse look”, “urban textures” and open-plan layout. What better place to spend your pennies than Attendant? Their original shop was a disused Victorian toilet that had been closed for 60 years – complete with men’s urinals and hand dryer. Their second was a little more conventional but with the same ethos based around a passion for sustainably sourced specialty coffee. We got some top marketing tips from co-founder Ryan De Oliveira. Ryan told us that marketing is an essential part of running any business – which in his case partly means taking advantage of the shop’s tongue-in-cheek USP. But he believes that good old-fashioned word-of-mouth is probably still the best marketing there is. “It’s all about that interaction that you have with the customer,” he says. “How you detach them from that 9-5, how you make them feel in the environment and the experiences they have. Social media is so important these days; how you interact over Instagram, Snapchat, Twitter etc – but it’s quite hard to tell you the truth. “You have to convey very clearly what it is you are doing, what makes you interesting and exciting, why you go to the lengths you do to produce the coffee or food that you do.